This give accurate measurement of glucose in blood & easy in use. PACK SIZE: 25 pieces and 50 pieces. This give accurate measurement & easy in use. 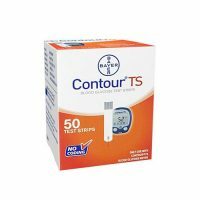 Blood Glucose Test Strips HEA-STP 30 intends to be used with particular Blood Glucose Monitor. HEA-230 is used for Blood glucose level detection. 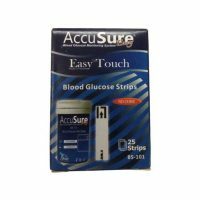 This Blood Glucose Test Strips HEA-STP 30 sensitivity is equivalently calibrated to plasma results in factory. This help Monitor Blood Sugar by best treatment plan. Blood glucose level can fluctuate throughout the day, home monitoring and recording of blood glucose readings can provide healthcare provider with valuable information to determine whether you truly have High Blood Glucose Level and, if you do, what kind of treatment plan would best suit your needs. Home monitoring benefit those individuals already treating High Blood Glucose Level by assisting your doctor in determining whether your current treatment plan is working. 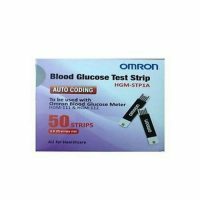 Benefits for OMRON HGM-STP1A Blood Glucose Test Strip 25pcs: This is COMPATIBLE FOR HGM-111&112 Omron Glucometer. This is the first of its kind glucometer that was commercially available for domestic as well as medical use with equal calibration accuracy. This is used in monitoring of blood sugar levels and this helps in controlling the sugar levels against the effects of diabetes and glaucoma. In This unit comes with lancing device to poke a slot into the skin, strip bit slot, carrying bag, log book and an operational manual in two languages. 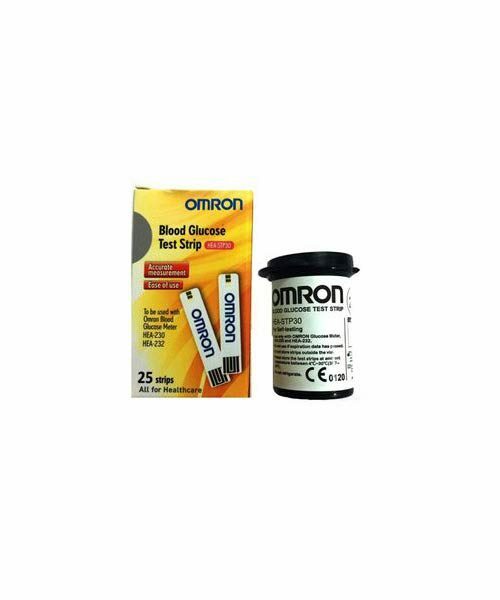 Omron HGM-111 Glucometer gives test results within 5 seconds and doesn t cause any weakness in people. This has a smart error indicator whenever a strip that has exceeded its expiry date, reused ones or damaged strip is inserted into the glucometer. Glucometer from Omron has a facility for used in multiple way just like pre-meal as well as post-meal marking. This has an audible beeper with meal flags backed by auto-coding indicator. This comes with mega memory chip that helps in easy management of the tested samples and results.In this the large LCD screen has a backlight for easy readability in dim as well as dark environment. This light-weight construction ensures that you can carry the device anywhere and use it at any place with ease. In this Measurement range: HGM-111 and HGM-112 meter can measure results between 20 ~ 600 mg/dL. In this The meter will display¢LO¢ which indicate to a very low glucose level if your test result is lower than 20 mg/dL. In this the meter will display¢HI¢ which indicate to a very high glucose level if your test result is higher than 600 mg/dL. Repeat your test when the¢LO¢ or¢HI¢ message appears; if these messages show again monitor, consult your doctor. Storage condition: Store HGM-STP1A strip vials in a cool, dry place.This Keep away from light and excessive heat. In this write the first opened date on the vial label. You should discard the strips after 90 days from first opened date. Store your strips in their original vials only. Close the lid of vial immediately after removing a test strip.